There are currently 3 active listings in Palm Pointe and Palm Isles community of Palm City FL. List prices for these homes range from $289,888 up to $359,990. This results in an average list price of $334,959 which equals $151.23 per sq. ft. of living area. At this time, there are no homes under contract. Six homes have sold in the past 12 months. Sales price ranged from $250,000 up to $350,000. This equals an average sales price of $285,167 which works out to $165.15 per sq. ft. of living area. These homes were on the market for an average of 43 days prior to going under contract and sold at an average of 98% of list price. 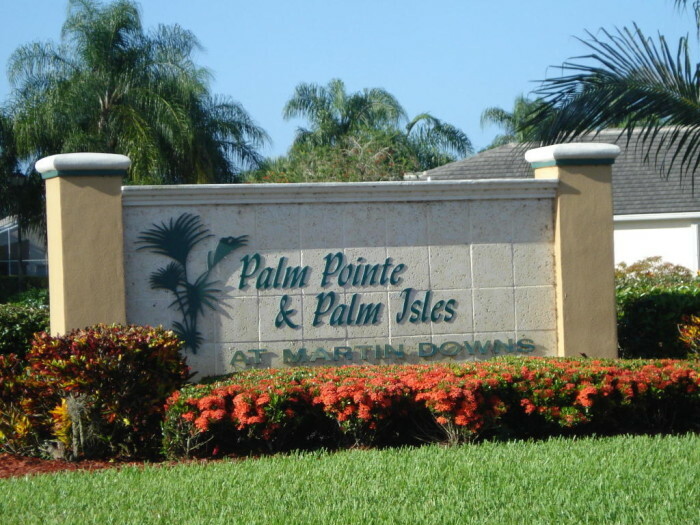 Palm Pointe and Palm Isles are adjoining communities in Palm City just east of High Meadow Rd between Martin Downs Blvd and Martin Hwy. 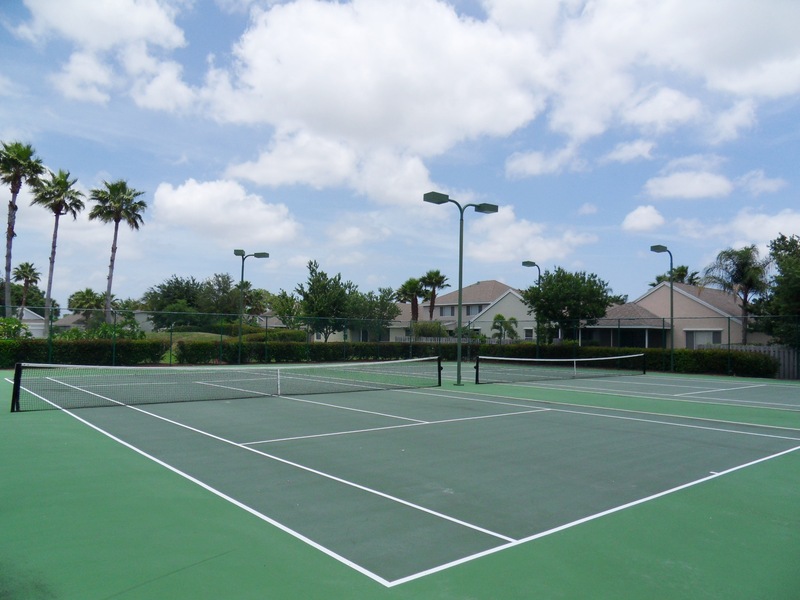 These gated communities are conveniently located close to both Florida’s Turnpike and I-95 making it a great location for those who commute to parts north or south for work, yet want to take advantage of the great school system and amenities that Martin County has to offer. Also within easy reach of shopping, restaurants and medical facilities as well as the many boat ramps and Marinas of Martin County. There are a total of 128 homes that were built from 1990 through 1996 for Palm Pointe and 1999 to 2001 for Palm Isles. 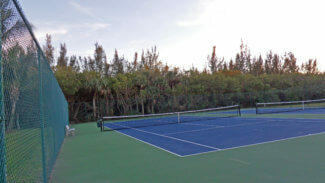 These two communities share a community pool, tennis courts and a playground. Homes range in size from 2 bedroom, 2 bathroom homes of around 1,400 sq. ft. of living space plus a two car garage, up to 4 bedroom, 4 bath homes of around 2,400 sq. ft. plus garage. 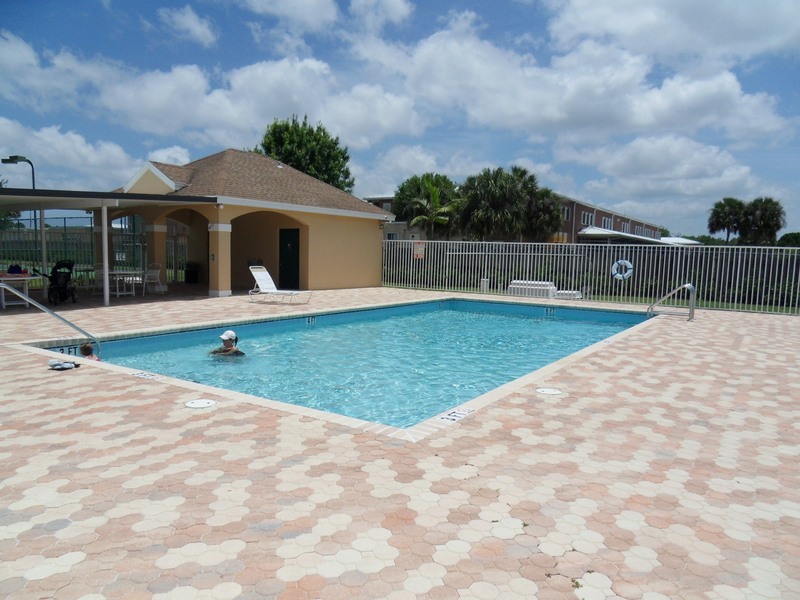 Many homes in these communities have their own private pools and a lucky few have wonderful lake views. As of April 2019, HOA fees were just over $200 a month and this community allows large pets and rentals. There are vehicle restrictions for commercial trucks. 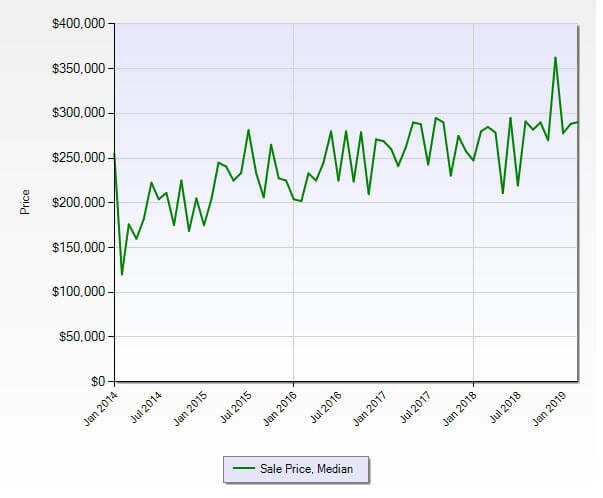 The Jensen Beach FL 34957 Residential Market rebounded very strongly from weaker winter activity with strong increases in both pending and closed sales. The current absorption rate for the Jensen Beach Florida Market Report ZIP Code 34957 dropped to 5.8 months ( was 8.7 months in February). 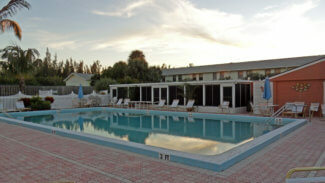 Back into a seller’s market for Jensen Beach homes. 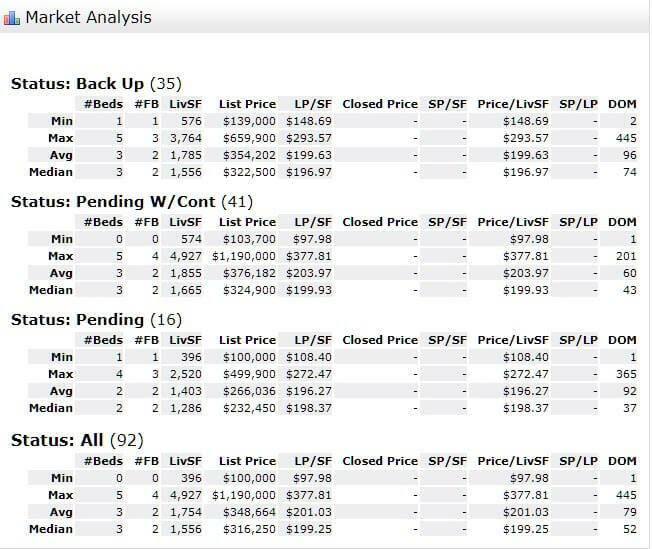 A 6 to 7-month absorption rate is considered to be a balanced market favoring neither the seller or buyer. The March 2018 numbers were: 186 active listings, 93 pending sales, and 34 home sales closed. 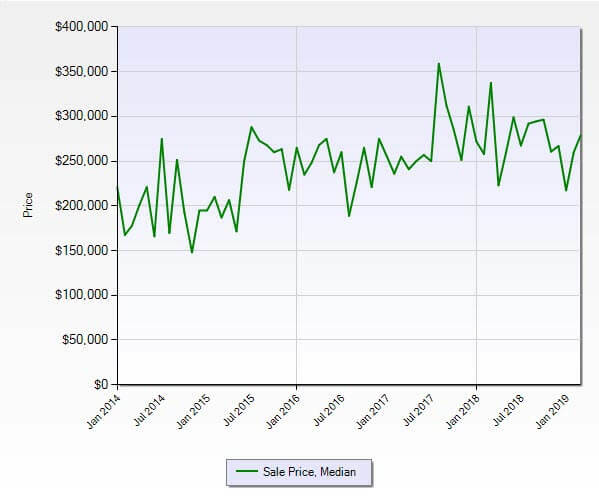 A very similar volume of sales and pending sales to last year, but this is with an increased inventory of Jensen Beach homes for sale. 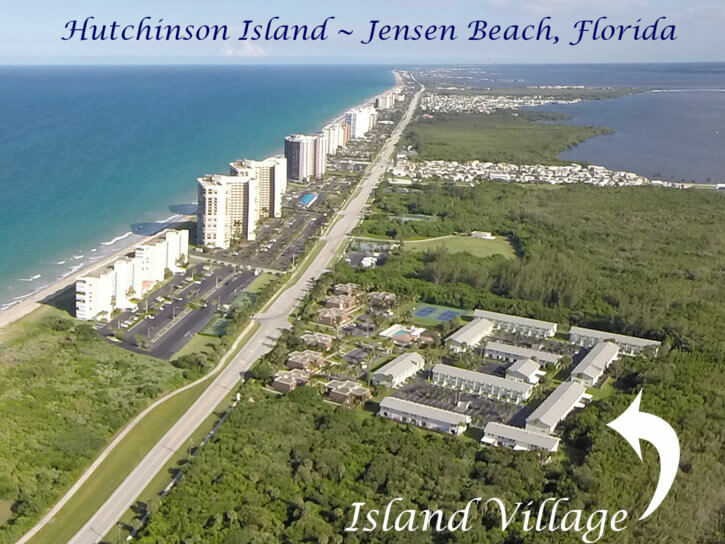 Are you interested in the value of your Jensen Beach FL Home? 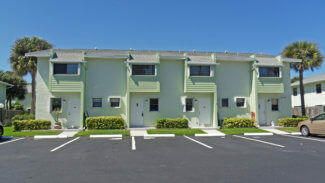 There are 8 townhomes for sale in the Island Village community of Hutchinson Island. List prices range from $140,000 up to $179,900. This is an average list price of $163,450 or $128.70 per sq. ft. of living area. 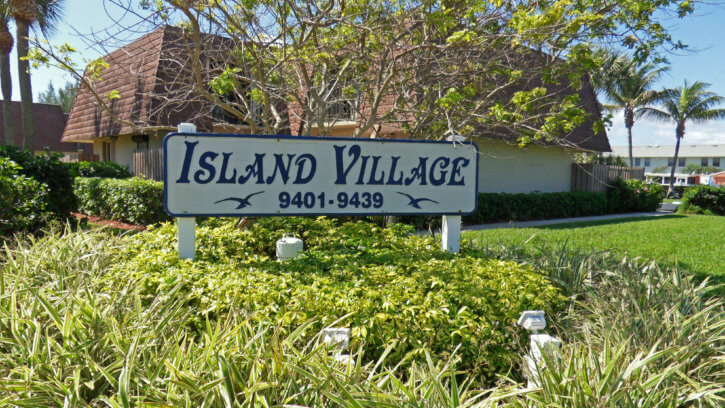 There is one property under contract in Island Village. 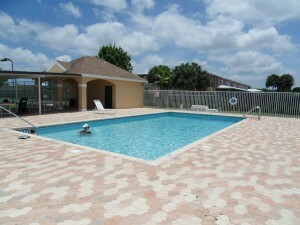 The list price was $189,900 which is $149.53 per sq. ft. of living area. 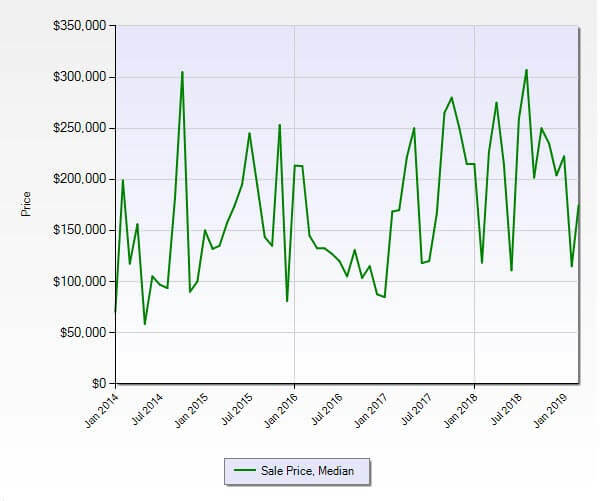 Only one townhome has sold in the past 12 months. The sales price was $160,000 which equals $125.98 per sq. ft. of living area. This home was on the market for 12 days prior to going under contract and sold for 88% of list price. As of September 2018, the HOA fees (which include insurance as in condo communities) are $360 per month for phase I (quad style) and $330 per month for phase II (row style). These fees include Cable, Fire/Liability Insur, Grounds / Plants, Maintenance Exterior, Maintenance Interior, Manager, Recreational Facility, Reserve Funds, Roof Maintenance, Sewer, Trash Removal and Water. 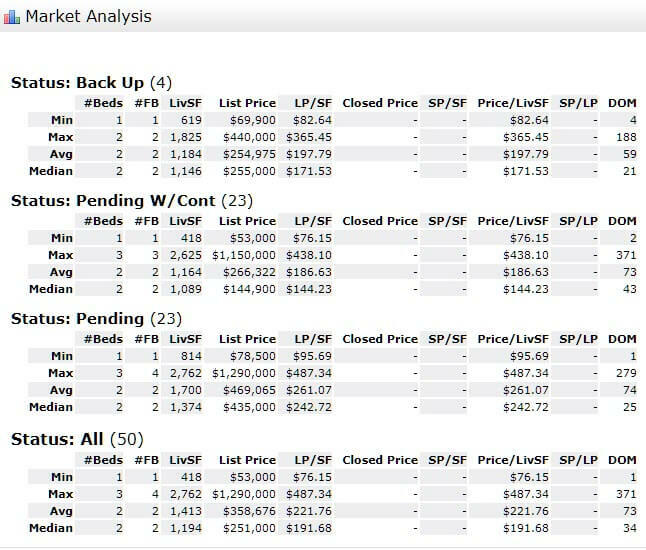 There are currently 131 active condo listings (Down by 7 condos from last month). 50 Condo sales are pending and awaiting close or lender approval (Down by 1 condo from February). The Stuart FL 34996 Condo Market of Stuart had stronger activity than last month bringing this segment back into a seller’s market. Though still not as strong as it was last year, but quite active none the less. The current absorption rate for the Stuart Florida condos in ZIP Code 34996 dropped to 5.5 months from February’s 8.6 months. 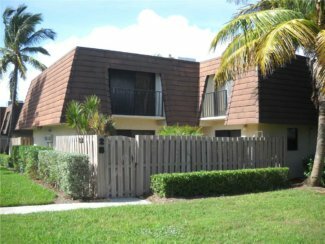 Transitioning back into a seller’s market for this segment of Martin County condos after a number of months in a buyer’s market. A balanced market is considered to occur when the absorption rate is from 6 to 7 months. The numbers for March 2018 were: 139 active listings, 55 pending sales, and 29 closed sales. 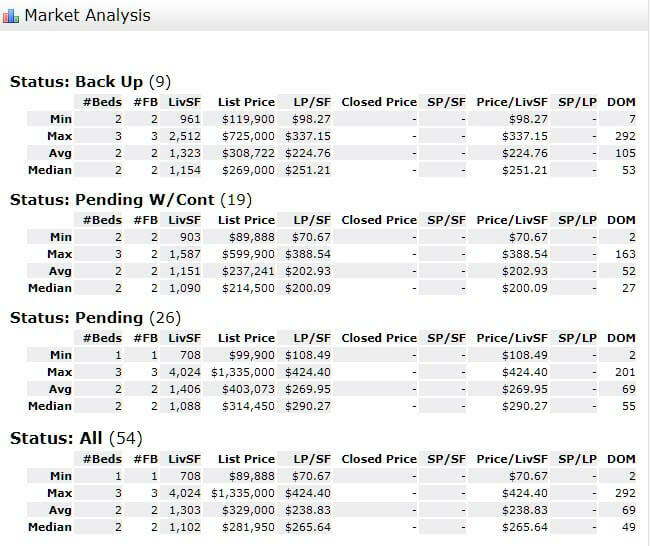 Better activity last year for condo sales in the 34996 zip code of Stuart FL.